The bins are dual function in that they can be used to collect litter and provide a secure enclosure for a bait station. The discarded litter/takeaway food stuffs act as an attraction to rodents and the enclosure provides safe and friendly harbourage. The bin can be used in any location and because the bait stations are not in view, it is discreet and does not draw attention to the issue of vermin that are being dealt with. 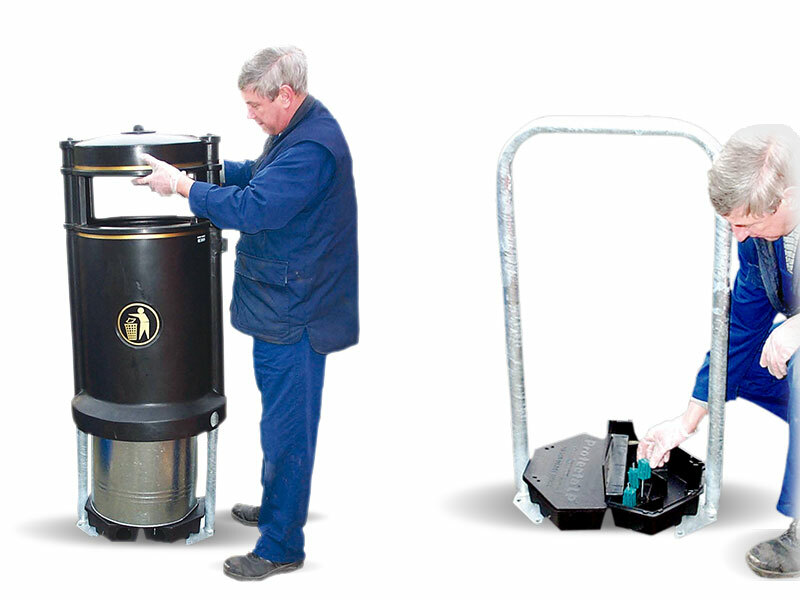 As well as using high quality tamper resistant Protecta LP bait stations, the outer sleeve of the bin is also locked in place providing excellent security. Other options avaliable including: Different coloured sleeves; Replacement plastic sleeves; Spare keys; Ash tray and Cross foot & rooted frames for setting in concrete - POA.